D. G. Decorating Services - Painter/Decorator based in Newcastle upon Tyne, Tyne and Wear. 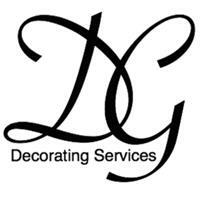 Here at D.G Decorating Services, our aim is to provide a complete professional service. From the free no obligation quotation to the high standard completion of the job. With competitive rates and a wealth of experience in all aspects of painting and decorating the service we provide cannot be beaten. Customer satisfaction is our highest priority and therefore guaranteed.